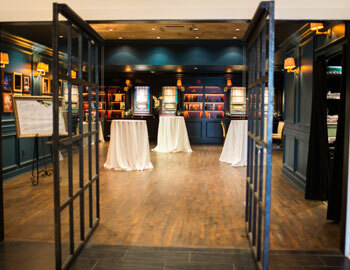 The contemporary amenities are well-molded into this historic, traditional “library” event space. 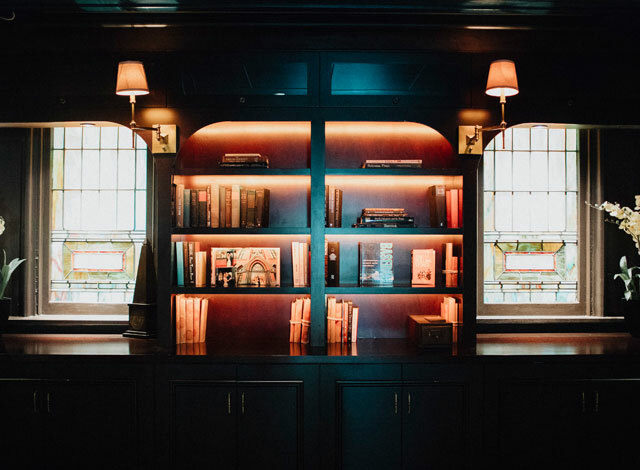 With wooden shelf-lined walls, exposed brick, a wall of mirrors, warm lighting and beautiful hardwood flooring, The Registrar is one of OTR’s best displays of intimate event space. 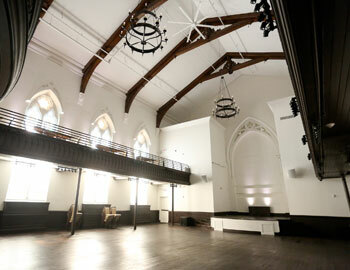 The history and ambiance of this entire venue—The Registrar included—oozes from one intricate detail to the next. 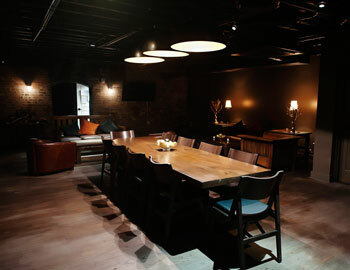 The renovations allowed this space to maintain its historic charm, though numerous upgrades now make it as functional and convenient as it is beautiful and mysterious. 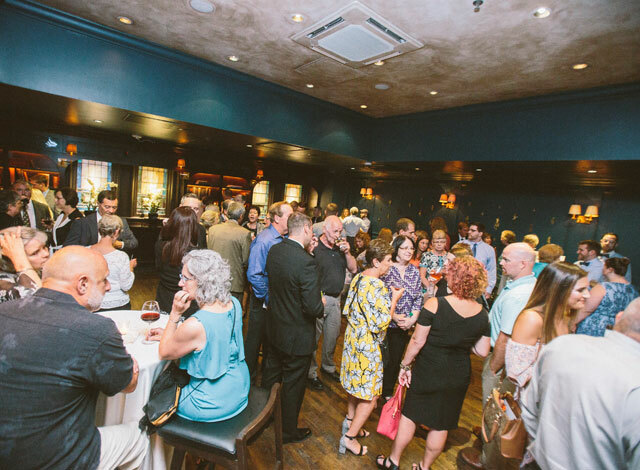 The atmosphere of The Registrar plays well with a variety of event needs, though it most often plays host to corporate meetings, rehearsal dinners and private events. 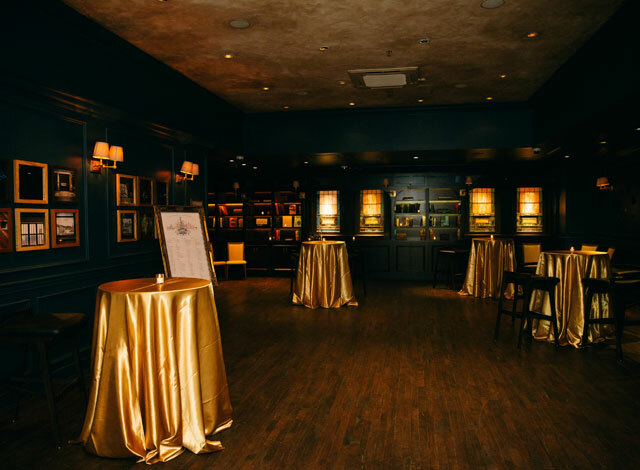 Guests and hosts love this event space for the charm, the features, the full-service bar, the bartenders and service staff and as a way for close family and friends to wine and dine while getting to know the venue space before a larger event in The Assembly. 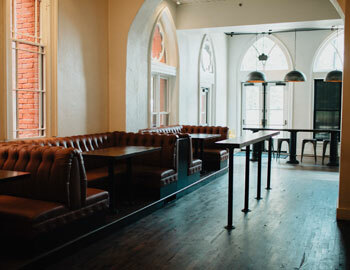 View our other amazing spaces at The Transept, all with the same warm ambiance and historic charm, plus, of course, Funky’s signature welcoming staff, servant leadership and passionate quality.